2013 has begun with a bang! What better way to start the year than acknowledging the real issue around the current FNB Advertising campaign. Be awesome, be positive, because 2013 is going to be a great year! This past week saw much hype around the FNB advertising campaign. Talk around the country focussed on whether the FNB advert was out of line, whether the ANC reaction was justified and if FNB should have canned their advert. The questions being asked in conversations around the country are "Should FNB have caved into the ANC demands?" and even more concerning "Is there any hope for the future?" It is the essence of the message that has been lost – the message which says each and every one of us can help. We cannot rely on government alone to drive change and it is up to each of us to take responsibility for our future. A high school pupil from KwaZulu-Natal: “We must not depend on our leaders. Each person must become their own hero". A Western Cape student said: "I was born in an epic era.... We need to stop relying on government and rely on ourselves." There are always three sides to a story and in this case: the FNB side, the ANC side and the youth’s side. Rather than debating the sides of the ANC or FNB – let us stand behind the third side, the message of our youth and be inspired by their positive attitudes and encourage by their spirit of ownership. Let us lead by example in both our conversations and daily actions. Let us be motivated to spread the message further. 2013 is here, Be Awesome! 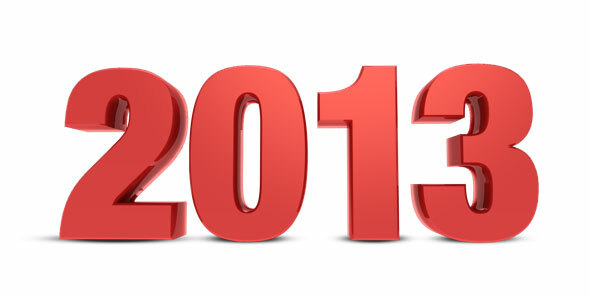 The holiday season is over and the new year has begun, 2013 is here and waiting to show you just how awesome it can be. South Africa is inviting you to join the positive vibe! You can read the rest of this article on Awesome South Afria here. 2013!! The New Year comes around and traditionally people make all sorts of New Year Resolutions. Over the years I have seen both my effort and commitment to resolutions change greatly. You can read the rest of this article on You're Awesome here. Its 5 weeks to the Argus Cycle Race and this year Derryn will be riding. Those who know Derryn will be aware that this is no easy feat for her! She will be riding in a charity team to raise funds for U-turn, an NGO that helps homeless people move off the street and back into society. Please support Derryn and click here to make your sponsorship pledge. No matter the value, even the small amounts all add up and go to a worthwhile cause. AND for every R500 donation received Derryn will be giving away an Awesome South Africa book to a school or charity. Email Derryn and let her know who you would like her to donate the book to. By Peter Carruthers - In 2006 all six of my Internet connections in Durban failed. And then I made the worst decision of my life. In a huff I chose to sort the problem out by leaving Durban (almost reasonable) and heading for Hampshire (utterly silly). Talk about hopping out of the frying pan. You can read the rest of this article on PetesWeekly here. Looking for a meaningful and life changing gift? Written by Di Smith, photography by Terrence (Mzi) Mtola and foreword by Archbishop Desmond Tutu.You're Awesome, living a fulfilled life is visually and textually, one of the highest-quality products that South Africa has produced in recent times. Do we want to see change? Is it possible that the missing link isn't a change in government, or commerce, or sports coaches - in "them" and their behaviour - but a change in you and me and the way we live our lives? "The title You're Awesome - that is basically the feeling you get when you close the book. You do feel like you can change the world." Described by Mike Wills on Cape Talk Radio as a terrific publication that's quirky and offbeat with both positive fun and serious stuff which is not just cheer and a lot of upbeat stuff but also has a lot of realism".